Whiteville: Gerald Dean Hege, 95 of Whiteville died Sunday, September 9, 2018 at his residence. He was the son of the late Royal Webster Hege and Jennie Fritts Hege and was preceded in death by his wife, Elizabeth Jean Hege. He was a member of the First Presbyterian Church where he was a member of the Presbyterian men's group. 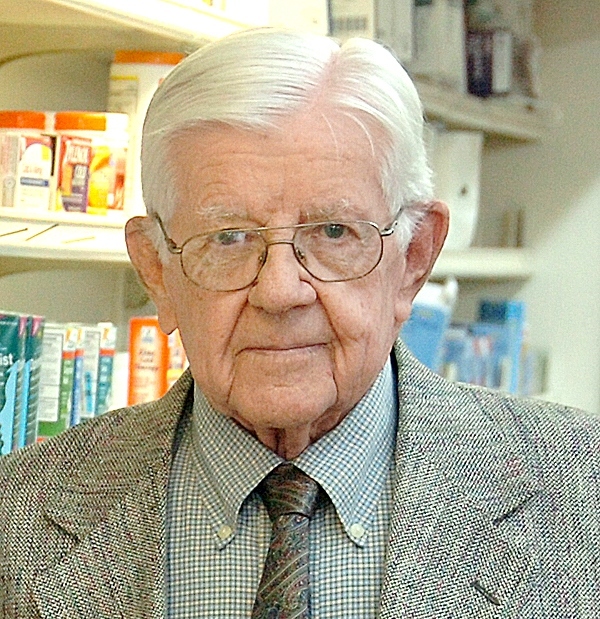 He was owner and operator of Guiton's Drug Store for over 60 years and was recognized as one of the oldest Pharmacist in the State of North Carolina. He loved playing golf, sailing and devoting special time for his family. Survivors include his sons; Robert Dean Hege and Benjamin Fulton Hege, both of Whiteville, N.C., Richard Webster Hege of Kiawah, S.C. , and Kinnit Royal Hege of Miami, Florida. One brother, Donald Fritts Hege of Onancock, Va. Grandchildren; Justin Hege, Jenna Hege, Lindsay Hege, Madison Hege, Sam Hege and A.J. Hege, Great-Grandchildren ; Jackson Bowden Cheney, Elizabeth Jean Cheney, Calvin Deane Hege and Lincoln Dane Hege. Funeral Service will be Wednesday, September 12 , 2018 at 11:00 a.m. at the First Presbyterian Church with Dr. Joseph D. Washburn officiating with a Private burial at Whiteville Memorial Cemetery at 1:30 p.m. Memorials may be made to First Presbyterian Church @ 511 N. Thompson St. Whiteville, N.C.
Visitation will be Tuesday, September 11,2018 at First Presbyterian Church from 5:30 until 7:00 p.m. Active Pallbearers: Billy Maultsby, Jay Will, Luke Marion, Lee White, John Gayle Barkley, Bobby Garrison and Ken Carter.